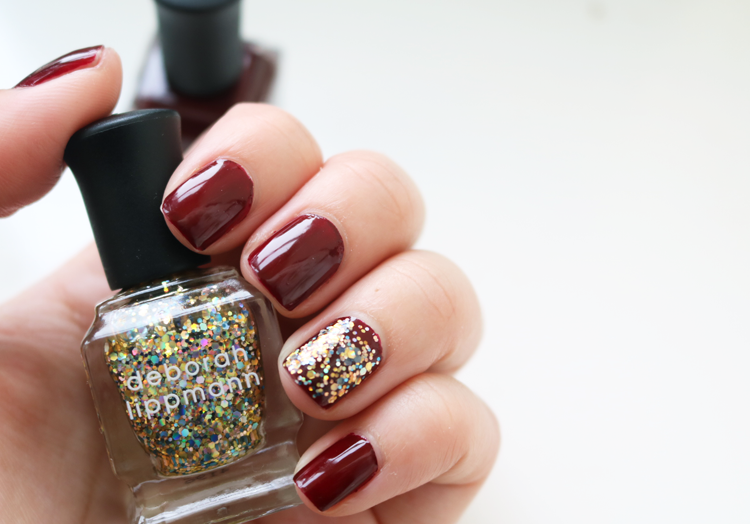 Deborah Lippman's Nail Lacquers have always caught my eye with their extensive shade range and quirky square bottles, and today I'm wearing this duo from her popular Dance Music Duet set. 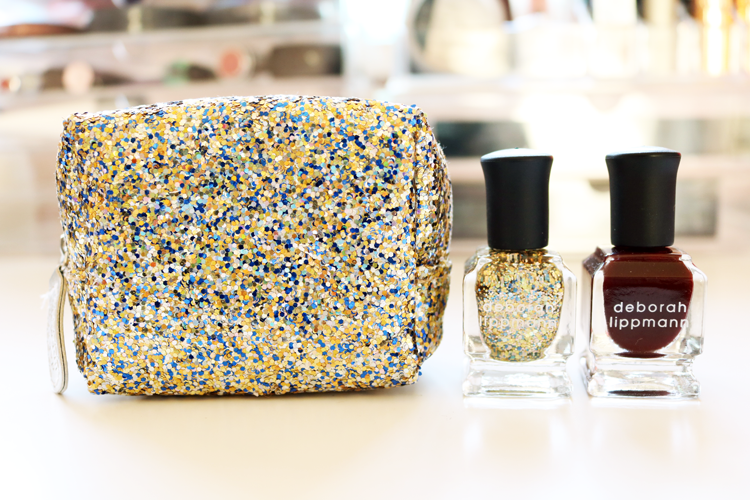 This set features two mini (8ml each) Deborah Lippmann Nail Lacquers which all have 5-free formulas. Single Ladies which is a gorgeous deep berry-wine red creme shade with a glossy finish and Glitter And Be Gay, a gold based holographic glitter with flecks of blue, green and silver. Single Ladies applies beautifully in just two thin coats and you can play around with Glitter And Be Gay to create different looks by either applying a single coat or bulking it up and adding layers. In the photo above, I used three coats of Glitter And Be Gay for a chunkier, more defined glitter filled accent nail, and I think it looks pretty cool! The set also comes with a super cute and totally blingin' mini bag/purse that has the same holographic colourway to match Glitter And Be Gay. I looooooove it!